Constructed by a “King of Nagpur”, called Raghuji Bhonsale is a renowned temple located in Maharashtra and dedicated to Lord Ram called Shri Ram Temple. This “400-year-old” temple is situated in a city called Ramtek in the Nagpur district. Apparently, this Hindu shrine was built to honour the acquiring of a fort in Deograh in Chindwara by Maratha King Bhonsale. Furthermore, it is also said that every wish made at this sacred Hindu shrine is always fulfilled. The best time to visit this “Lord Ram” temple is during the winter season when the climate is pleasant with the minimum temperature dropping to as low as 10 degree Celsius and which begins in October and ends in March. 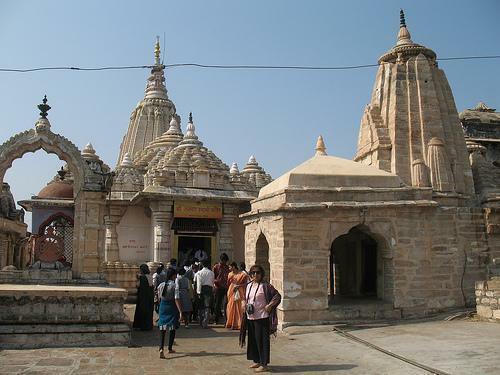 The nearest railway station to this temple is located in Nagpur. The Nagpur Railway Station is well connected to major cities in the country. There are two routes from Mumbai to this temple, and they are via Nagpur-Aurangabad Highway and via NH3. There are two routes from Navi Mumbai to this temple, and they are via Nagpur-Aurangabad Highway and via NH3. There are three routes from Nashik to this temple, and they are via Nagpur-Aurangabad Highway, via Aurangabad-Nagpur Road, and via MP SH 26. There are three routes from Nagpur to this temple, and they are via Rambagh Road, via Rambagh Road and Tukdoji Putla Road, and via Subhash Road. The closest airport to this temple is located in Nagpur. The Dr. Babasaheb Ambedkar International Airport is well connected to major cities in the country as well as international destinations such as Doha, Sharjah etc. According to a popular legend a number of sages living around the Ramtek area were performing certain religious rituals. It so happened that whilst these rituals were being performed a number of demons would disturb these rites from being performed. Agitated about the disturbances created by the demons the sages complained to Lord Rama. On hearing their plea Rama decided to take matter in his own hands and as a result he killed the demons, thereby finding a permanent solution. Thus Lord Rama was then worshipped throughout the Ramtek region, and this temple was constructed in his honour as a result of King Raghuji of Nagpur capturing a fort called Deogarh.